Our primary goal is safety first in all procedures performed in our offices. 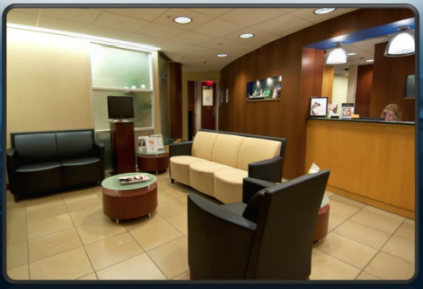 To assure the utmost safety and compliance with the highest surgical standards we have built state-of-the-art surgical facilities in both our Manhattan and Garden City, NY facilities. These surgical suites are accredited by the Joint Commission. Since 1951, The Joint Commission has maintained state-of-the-art standards that focus on improving the quality and safety of care provided by health care organizations. The Joint Commission’s comprehensive process evaluates an organization’s compliance with these standards and other accreditation or certification requirements. Joint Commission accreditation and certification is recognized nationwide as a symbol of quality that reflects an organization’s commitment to meeting certain performance standards. Our staff and facilities practice state of the art care such that we earned the gold seal of the Joint Commission. 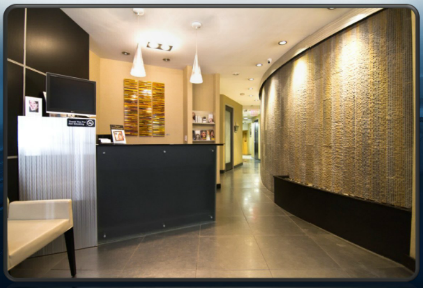 We invite you to come to our office to see for yourself the high level of professionalism that our office has to offer. Please visit the Joint Commission website to learn more. Throughout his early years of medical and surgical training, Oculoplastic surgeon Dr. Amiya Prasad developed methods to help people have as safe and pleasant an experience as possible during a cosmetic procedure. General anesthesia refers to a method of anesthesia where the person having surgery is temporarily paralyzed and placed on a respirator with a tube in their throat to allow them to breathe. In fact many complications such as aspiration (when an object or liquid is inhaled into the respiratory tract), damage to teeth and lips, nausea and vomiting, malignant hyperthermia (a life-threatening reaction to anesthesia) and blood clots to lungs (also known as PE or pulmonary embolus) occur with some frequency. Even when general anesthesia is “uncomplicated”, 30% of people report having nausea and vomiting and need to recover longer because they feel “worn out”. 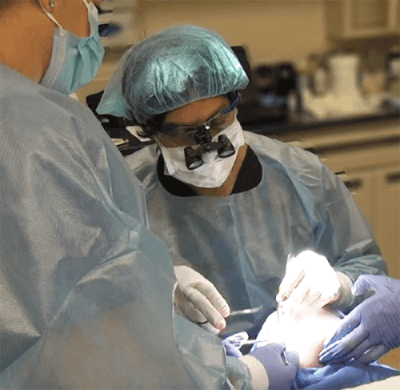 How Do Patients Respond To LITE™ Anesthesia As Opposed To General Anesthesia? Our patients tell us that when they wake up from LITE anesthesia, they feel wide awake and “refreshed”. They don’t remember anything about the procedure and they are able to focus on their surgery and how to care for themselves during the recovery phase. We believe that this type of anesthesia allows for shorter downtime and a prompt return to normal life. Also, most of our patients highly appreciate the lower risk with the LITE anesthesia as opposed to general anesthesia, and often it is this advantage that makes them comfortable with proceeding with cosmetic surgery in the first place. Is LITE™ Anesthesia The Right Choice For Me? This is a very personal decision for you, as it is with all of our clients. We believe that in today’s fast paced world, the shorter downtime, the faster recovery and the lower risks associated with LITE™ anesthesia make cosmetic surgery more accessible for many people who want to have cosmetic surgery. In our society of rapid technological advancements it is imperative to stay ahead of the curve. So pursuing aesthetic procedures to preserve your youth is much more common than it was about 20 years ago. If you are going to seek out a cosmetic surgeon who performs state of the art, natural youth-preserving procedures, then why not also make sure that the anesthesia that you have measures up to the same standards?